In one sense, Japan has had a long-standing history with ambient music, whether it involved ritualistically ringing bells in public in the second century BC or the not-quite-as-old (but still very old) practice of using water resonance in garden design to tune the mind for tea ceremonies. But a couple things happened in late-'70s Tokyo that really fomented the scene around what came to be known as kankyō ongaku, or environmental music: a concert series honoring the work of Erik Satie, and the arrival of Brian Eno's Ambient 1: Music for Airports. The ensuing decade was rife with experimentation, as artists mixed those composers' Zen-like philosophies with emerging synthesizer technologies and, during Japan’s bubble economy, an influx of corporate cash. Those commissions—which ranged from sound design calibrated for specific buildings to music to accompany the whir of Sanyo air conditioners—represented a never-before-heard infusion of avant-garde art into everyday Japanese life. Nearly 10 years of digging into the music’s hidden corners led Spencer Doran, one half of Portland-based experimental electronic duo Visible Cloaks, to produce and compile Kankyō Ongaku: Japanese Ambient, Environmental & New Age Music 1980-1990. How has the definition of “kankyō ongaku” changed over the years? The history of the term is a little complicated. It first appeared in the '60s in relation to Muzak, but then was essentially hijacked by the Tokyo avant-garde via theorist figures like Kuniharu Akiyama and Satoshi Ashikawa and given more artistic potency. 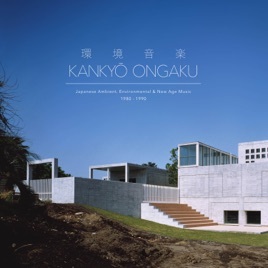 "Kankyō ongaku” was the translation given to “ambient music” when it arrived in 1978 via Eno, and throughout the '80s it was used in relation to the kind of music found on this comp. In the '90s, when ambient music became more widely known thanks to club culture, the actual katakana-written English pronunciation “ambient” came into use, and kankyō ongaku became more synonymous with field recordings and healing music. How did these artists look at this music philosophically? They saw sound as something that exists in physical space, with the sounds of the external world as part of the experience. Music can exist as part of everyday life, and it's not necessarily separate in an absolute way. It’s in opposition to the historical notion of music as art that exists detached from reality. Was it a big scene, or more a niche within Japanese culture? There's a few different scenes that overlap but have pretty distinct groups of musicians underpinning them. Ryuichi Sakamoto, Haruomi Hosono, Yasuaki Shimizu—these are all people that were important figures in pop music. But the more underground scene, which is around people like Satoshi Ashikawa, Hiroshi Yoshimura—that was rooted in the gallery/sound-art world, coming off of this post-Fluxus '70s scene of avant-garde musicians in Tokyo, and a lot of them funneled into this world of environmental sound design. And then there's a whole other scene of people that were vestiges of the psychedelic scene of the '70s, especially the Far East Family Band, who were a psych/prog band that Klaus Schulze produced. A lot of people around that group went on to have careers that are more closely aligned with what you think of as new age music—this healing, spiritual kind of thing, which wasn't so much the intention of the other two branches. How did the economic boom affect what was going on? Part of what I was trying to do with the comp is tease out all these different ways that music bled into public consciousness, and a lot of it is because of the corporate world. There was all this extra money kind of flowing around, and corporations were funding arts ventures to help give a sophisticated dimension to their brand. People were given a lot of artistic control and it created an atmosphere for them to experiment in, which is where a lot of these ideas flourished. The Yoshio Ojima track is environmental music he did for a building called Spiral that was paid for by the Wacoal lingerie company in the mid-'80s. Sort of like a postmodern mega arts center that's a coffee shop, a gallery, a theater, a garden, all these things. He designed all these pieces that are played in different areas of the space. It's still there and the music's still played today.